The Volvo 740 (aka 745) wagon was a fine piece of engineering from safety focused guys at Volvo, but even in turbocharged trim it won't open any eyes with acceleration...so...an entire boutique industry has been born to fix it with injection of American V8 power -- even Paul Newman shoved a V8 into his Volvo wagon...but today we've got a special treat. 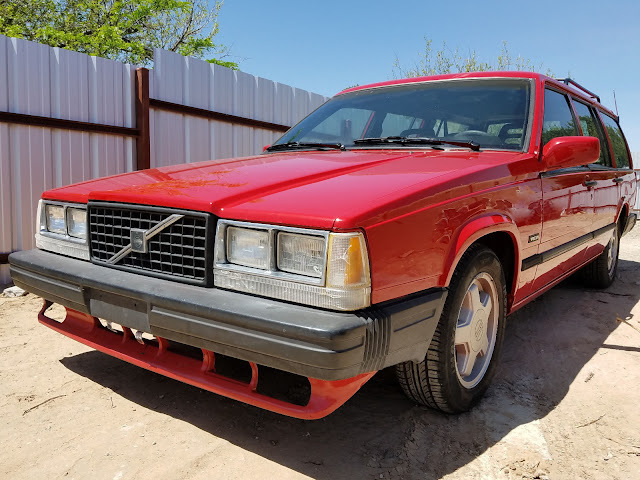 Find this 1988 Volvo 740 with V8 offered here on eBay for $2,900 buy-it-now located in Belen, NM with 4 days to go. 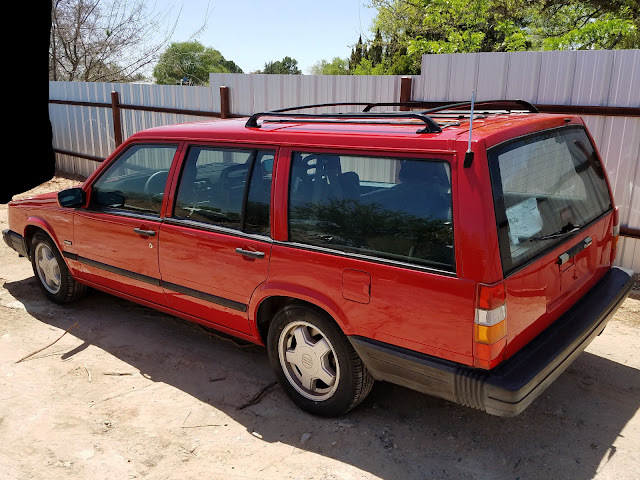 It's no shock that we are featuring another V8 Volvo wagon, but this one is cheap and sweet because...well -- this ain't that other site where the prices are higher than Quasimodo's seventh thoracic vertebrae -- this is DT, where the cars might be broken but you won't be broke. Ooooooo---EEEEEEEEEEEEeee. 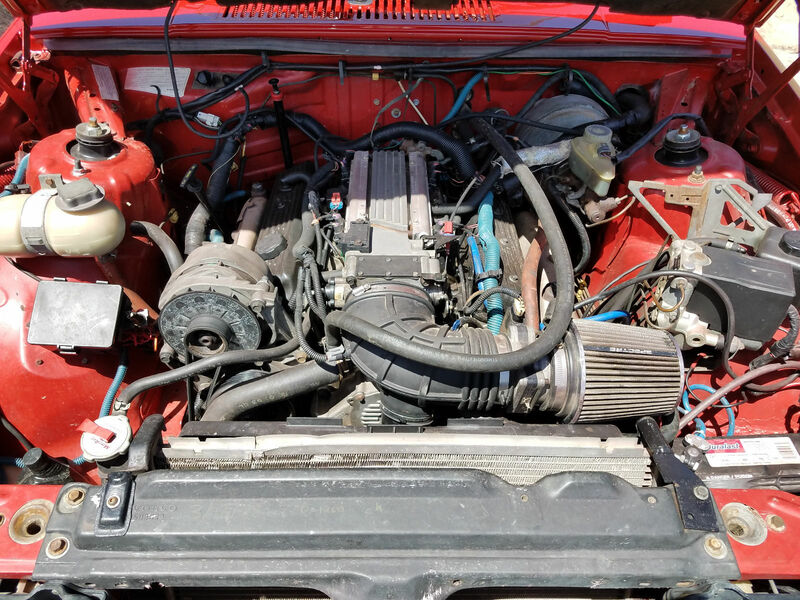 Get a load of the 5.7 liter LT1 small block Chevy V8 under the hood -- it is like Christmas in July to find a small block powered V8 Volvo that runs and drives for less than $3k. The only downside is the lack of functioning AC (a must have in New Mexico summer) and leaking transmission lines. Darn it......put that within 200 miles of me and I'd be on it.